TOPEKA – All lakes in Osage County that were previously under watch or warning status for blue-green algae have been cleared by the Kansas Department of Health and Environment and Kansas Department of Wildlife, Parks and Tourism. 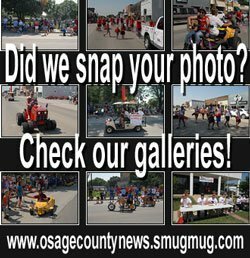 The two agencies lifted the warning and watch for Melvern Outlet Pond and Carbondale West Lake this week; they were the two remaining lakes in Osage County under the algae alert. In northeast Kansas, the agencies have issued a public health warning for Frazier Lake in Grant County for the upcoming weekend and week, and South Lake Park, Johnson County, remains under a watch status. Several lakes in Osage County experienced blue-green algae blooms over the summer, including Carbondale West Lake, Melvern Outlet Pond, Melvern Outlet Swim Pond, Overbrook City Lake, Overbrook City Kids Pond, and Pomona Lake. 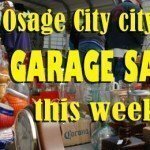 TOPEKA, Kan. – All except two Osage County lakes that were previously under a blue-green algae warning or watch have now been released from the public health advisories. Carbondale West Lake and Melvern Outlet Pond remain under a warning status for the algae, with activities at those lakes still restricted. Toward the end of the summer, several area lakes were under either warning or watch status for blue-green algae. The warning or watch status has now been lifted for Melvern Outlet Swim Pond, Overbrook City Lake, Overbrook City Kids Pond, and Pomona Lake. The Kansas Department of Health and Environment with the Kansas Department of Wildlife, Parks and Tourism issue the public health warnings for Kansas lakes. Lakes under a warning are not closed. If swim beaches are closed, it will be specifically noted. Drinking water and showers at parks are safe and not affected by algae blooms. Boating and fishing are safe on lakes under a warning but contact with the water should be avoided. Hands should also be washed with clean water after handling fish taken from an affected lake. TOPEKA, Kan. – The Kansas Department of Health and Environment, in conjunction with the Kansas Department of Wildlife Parks and Tourism, has issued a public health warning for five lakes due to a harmful algal bloom. TOPEKA, Kan. – The Kansas Department of Wildlife, Parks and Tourism has confirmed the presence of invasive zebra mussels in Wellington Lake in Sumner County earlier this month. Wellington city staff discovered the invasive, sharp-shelled mollusks as they replaced buoy lines. KDWPT staff subsequently found well-established populations of zebra mussels of various ages in the old and new parts of the lake. 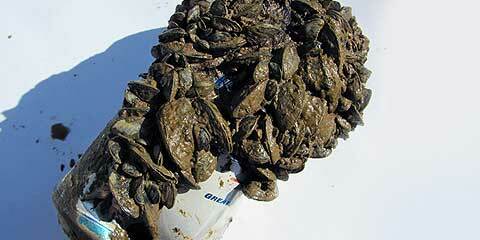 In May, KDWPT confirmed the presence of invasive zebra mussels in Paola City Lake, or Lake Miola, in Miami County. On May 23, an angler snagged an old fishing rod near the boat ramp with live adult zebra mussels attached and reported it to the local KDWPT game warden. KDWPT aquatic nuisance species staff subsequently found more zebra mussels of various ages in several parts of the lake. The population appears to be well-established. Wellington Lake covers approximately 675 surface acres, and is managed by the city of Wellington. Lake Miola covers approximately 220 acres and is managed by the city of Paola. KDWPT manages both lakes’ fisheries as part of the department’s Community Fisheries Assistance Program (CFAP). Both lakes offer outdoor activities such as boating, skiing, swimming, fishing, camping and hiking. Jessica Howell, KDWPT aquatic nuisance species coordinator, reminds lake visitors that everyone using the lakes plays a key role in stemming the spread of mussels to uninfested lakes. “This situation shows how important it is for boaters, anglers, swimmers and skiers to be aware of aquatic nuisance species (ANS) and to take precautions to prevent their spread,” Howell said. 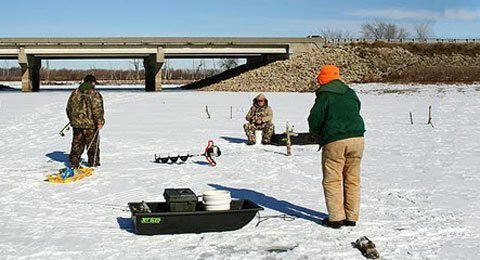 PRATT – A recent cold-spell had many Kansas lakes covered in thick ice, creating ideal conditions for ice fishing, but even with very cold temperatures, ice anglers must be vigilant. 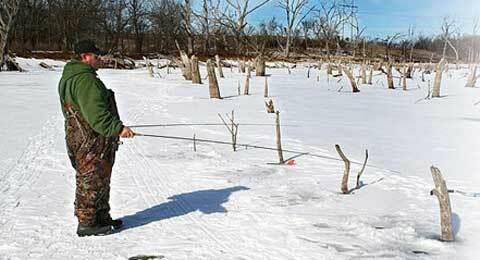 Now that temperatures are warming, extreme caution must be used in avoiding weak spots on lakes and reservoirs. 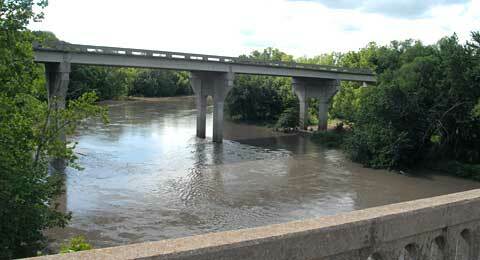 As pond-filling rains ended Tuesday afternoon, Dragoon Creek at U.S. 75 looked more like the Dragoon River, with rapid flow pouring into Pomona Lake. Rain gauges showed 2 to 4 inches fell across Osage County Monday and Tuesday. With another inch or so added overnight Wednesday, Pomona Lake’s elevation was 977.62 feet Thursday; normal pool elevation is 974. PRATT – After nighttime temperatures in the single-digits and daytime highs in the teens and twenties, most Kansas water bodies are covered with a sheet of ice. While beautiful and perhaps alluring to anglers and explorers, a frozen lake can be deadly and deserves respect and caution. KANSAS CITY, Mo. – The Kansas City District U.S. Army Corps of Engineers urges hunters to be safe and take precautions this winter when hunting at any of the district’s 18 lakes throughout Missouri, Kansas, Iowa and Nebraska. Most waterfowl hunters do not think of themselves as “boaters.” The boat is just a mode of transportation to reach their favorite hunting spot; as a consequence, they do not consider the safety precautions that are important for a safe and enjoyable hunting trip. 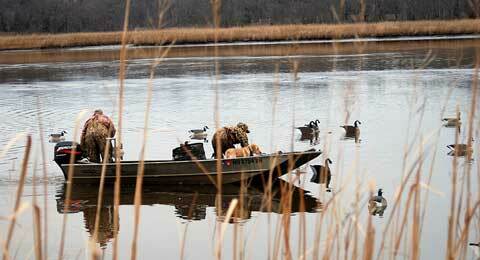 Packing boats beyond capacity with decoys, guns, dogs, gear, and their buddies creates a very dangerous safety hazard. KANSAS CITY – The U.S. Army Corps of Engineers Kansas City District has closed USACE-operated campgrounds and day-use parks due to the shutdown of the federal government for lack of fiscal 2014 funding legislation. The closure includes federal facilities at Melvern and Pomona lakes. 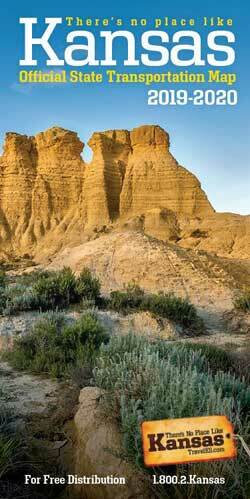 Affected recreation areas will remain closed until after the shutdown is lifted. 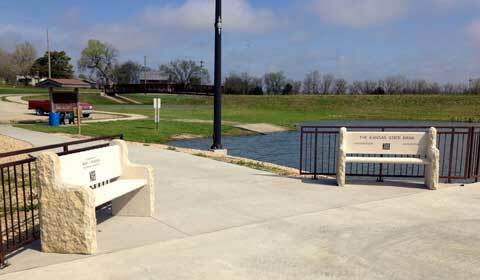 This includes all visitor facilities, campgrounds, boat ramps and similar facilities at all 18 lake projects in the Kansas City District. TOPEKA – The Kansas Department of Wildlife, Parks and Tourism has confirmed the presence of zebra mussels in Glen Elder Reservoir (Waconda Lake), in Mitchell County, and Lake Wabaunsee, in Wabaunsee County. 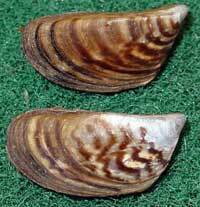 Zebra mussels are bean-sized mollusks with striped, sharp-edged, two-part shells. Twenty-one Kansas lakes have now been confirmed to have zebra mussels. “These latest discoveries show how important it is for the public to be aware of the dangers of aquatic nuisance species (ANS) and to take precautions to prevent their spread,” said Jessica Howell, KDWPT aquatic nuisance species coordinator. LYNDON, Kan. – Janet Lorraine Howard, 81, passed away on Tuesday, March 19, 2019, in Comanche, Texas. She was born on July 11, 1937, in Holyoke, Colo., the second of five daughters to Glen and Winnie Kepler Alberts. Janet grew up and attended school in Holyoke, and worked at the Dairy King with her mother and sisters. She had lived at Glen Elder, Kan., until moving to Lyndon, Kan., in 1967. Janet was a homemaker until starting to work for Cook Construction Company, at Waconda Lake. After moving to Lyndon, she then worked for both Cook Construction and Neosho Construction during the building of Melvern Lake. She worked several years for Ned Hiatt’s RV Sales, near Vassar, Kan.
Janet was a founding member of the Lyndon United Methodist Preschool, where she worked as an assistant teacher for 12 years. Many children in the community knew her as “Grandma Janet”. LEBO, Kan. – Gurney “Jerry” G. Bartley, 67, passed away Monday, Feb. 4, 2019, at the University of Kansas Hospital, Kansas City, Kan. He was born July 29, 1951, in Rock Springs, Wyo., the son of Robert and Madgel Knight Bartley. 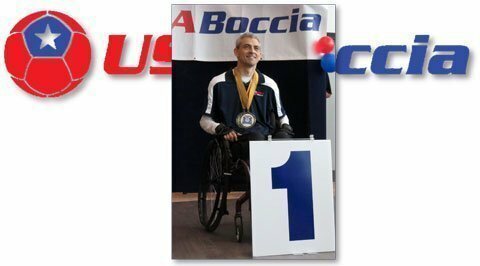 He attended Lebo High School, Lebo, Kan., and graduated with the class of 1969. Following high school, Jerry worked at IBP, in Emporia, Kan. In the early 1970s he enlisted in the Kansas Air National Guard, serving with the 190th Air Refueling Wing at Forbes Field. In the mid 1980s he began a career as a truck driver. KANSAS CITY, Mo. – The Kansas City District U.S. Army Corps of Engineers urges all hunters to be safe this fall when hunting at the 18 lakes throughout Missouri, Kansas, Iowa and Nebraska and the Missouri River. Treat every gun as if it were loaded. Never point a gun at anything you’re not willing to shoot, Ever! Keep your finger off the trigger until you are ready to shoot. Be sure of your target and what is beyond it. Learn the location of the property boundaries, homes, building, trails, and other recreation areas where you are hunting. Know where to hunt and know where other people and places are located. State laws require specific safety equipment or attire to be wore while hunting. It is also important to remember to wear your life jacket while hunting from a boat or a safety harness while hunting high up in a tree. Public land allows for multiple different uses. Hikers, bikers, and wildlife watchers have just as much privilege to use public land as hunters. Respect their use too. Non-hunters and their pets should wear bright, noticeable clothing and make enough noise for adjacent hunters to know your presence. If you want to avoid hunting altogether many public use areas around the lake are restricted to hunting. OVERBROOK, Kan. – Jeanne Louise (Kingery) Bond, 81, went home to the Lord on Sunday, Oct. 28, 2018, surrounded by her family. Jeanne was born on June 23, 1937, near Lone Star, Kan., to Everett William Kingery and Mary Elizabeth (Sanders) Kingery. Jeanne was married to Roland Arthur Bond on Oct. 23, 1953. Jeanne and Roland brought seven children into this world, Michael, Steven, Pamela, Cynthia, Stanley, Jeffrey and Brenda. Jeanne loved her family greatly and enjoyed loving on 15 grandchildren, 23 great-grandchildren and one great-great-grandchild. Jeanne attended a one-room school near Globe until the eighth grade and then attended Overbrook High School, Overbrook, Kan. Jeanne and Bus were high school sweethearts. She started working at O’Bryhim’s Grocery Store, in Overbrook, in 1967. She worked there in various positions, but for most of those years, she worked behind the meat counter with her loving smile until she retired in 2011. 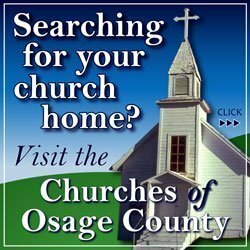 OSAGE COUNTY, Kan. – For the 76th consecutive year, millions of youth, parents, volunteers and alumni across the country will celebrate National 4-H Week Oct. 7-13, 2018. 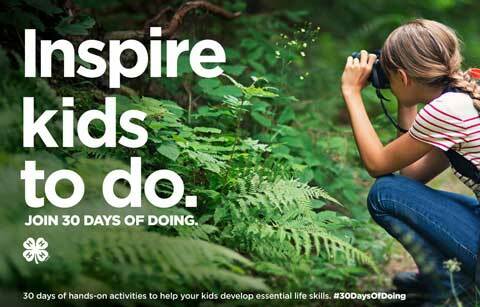 This year’s theme, Inspire Kids to Do, is a campaign that will give kids more opportunities to do, empowering them with the skills they need to succeed in life and career. Throughout National 4-H Week, Osage County 4-H members will showcase the many ways 4-H inspires kids to do through hands-on learning experiences, and highlight the remarkable 4-H youth in our community who work each day to make a positive impact on those around them. 4-H was founded on the belief that when kids are empowered to pursue their passions and chart their own course, their unique skills grow and take shape, helping them to become true leaders in their lives, careers and communities.